Advertize to the target audience. Today the number of channels you can use to advertize is so large that you don’t need a fortune to reach the audience. Facebook, the most popular social network, offers mobile app creators the ability to advertize the app itself. The instructions for ad creation are simple enough to allow you to customize your campaign on your own. 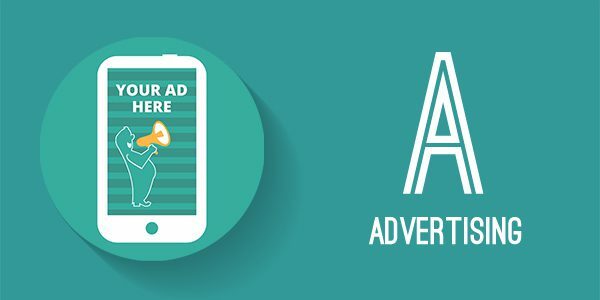 One research showed that 45% of users take notice of mobile ads and 29% react to them proving that targeting mobile devices is the right way to go. Start a blog. Content marketing is one of the most important modes of advertising today, and a blog increases the number of visits to the homepage and the app itself. The numbers speak in favor of it: 78% of users consider organizations that do custom content interested in improving the relationship with their users, and the same number of CMOs consider content marketing the marketing of the future. How many blog posts should you publish a week? Start with one as you will have an easier time going up than you would starting with five and then cutting down on them. Be a part of the community. If you have made a gardening app, be a part of your local gardening community, or even of the global one. Today thanks to social networks, Twitter and hashtags it is possible to determine exactly where your audience is. But don’t be like those people that join, yell out their message, my app rocks, and then leave. If you’re passionate about your gardening, then spending time with people who share that passion shouldn’t be a problem. And they will recognize and appreciate that. The app description for the App Store is one of the most important elements of promotion, and in this regard, the first sentence is crucial and requires your complete attention. What a headline is to a newspaper story – in that it gets you to read it, that’s what the first sentence is here. It’s the lead that’s supposed to grab your attention. For example, the opening line of the mega popular Angry Birds App says: The survival of the Angry Birds is at stake. So intense! Who wouldn’t read on? And just imagine that it said Angry Birds is a game where the player must yaddah yaddah yaddah… boooring! App screenshots are just as important as app descriptions. People are visual creatures, and often times it is the screenshot that makes a difference in choosing whether to download the app. Don’t rush it, choose the best. Test and change it up until you get the best possible results. Let your email subscribers know about the application. If you don’t have any, start looking for some. How? Blogs. Just like with descriptions, the title is the key – as 64% of users open the mail due to the title! When should you start sending them? According to the research, Mondays are the best choice. Hire professionals to do the content and design of the campaign if you’re not sure what to write and how. And again, just like descriptions, use bullets, highlight the benefits, and don’t forget about the call to action. Naturally, you should make sure the email looks good on mobile phones as well, since 65% marketing emails are opened on them. Make your application free for a certain period; or even better, make it free for good. People love free apps; the numbers will be on your side. According to the Gartner report, 92% of downloaded applications are free and this trend is expected to go continue on the same path in the future. Reviews are another key element when it comes to app promotion. Try to get some user reviews as well, and from websites that specialize in reviewing apps. Users can be invited to review through apps themselves, whereas you will need to use PR activities to reach the review sites. If you have an app about wine, get in touch with wine magazines; share it with bloggers in the field, as well as everyone who find wines relevant from a professional or journalist point of view. A store review can often be a negative comment about a bug, so make sure to get on top of bugs and all potential and easily solvable problems as quickly as possible. Keep track of reviews on a daily basis and if possible, reward the users who give you reviews. Highlight the best feature of your application. And that would be the one that actually „sells“ the app. Advertize the feature on your site, in the description, on social networks, in the About section, in promo materials and those you send out to the media. It might well be the first sentence of the description. For example, Instapaper describes itself in the following way: Instapaper is the simplest way to save and store articles for reading. The key word here is: simplest. The 8mm camera claims it is an Oscar-worthy app because it was used by Malik Bendjelloul to make his Oscar-winning fantastic movie Searching for Sugar Man (which we highly recommend). The app icon can often be the key to getting the user to download and try out an app. In our article 5 Tips on How to Design an Iphone Icon, we advised you to avoid unnecessary details and to maintain a minimalist look for your icon. But that is not to say that there should be no details – perhaps some shadowing or a color palette can contribute to the appeal of the icon. Do no put text on it, let the visual medium speak. And finally, leave a clear message of what your app is and what it is like with the icon. Know your community, your target audience. Before launching an app, get to really know the people it is intended for. Like we said under C for Community – it is an equally important factor in the app equation. That is why it’s good that you’re part of the community even before your app sees the light of day. A great piece when it comes to this topic is Seth Godin’s book Tribes. Read why in our text Seth Godin’s Tribes: Lead your community through mobile apps. Put the link for the app in the signature block, on the website, in the emails to the existing users, calling cards – wherever possible. Marketing experts who deal with the promotion of mobile apps are unanimous about this. No such thing as too much link sharing in all your promo materials. Create a landing page which you can use to keep the users posted about the app and everything it has to offer. Highlight its main feature, use a clear and appealing manner to explain its benefits, make an animated or feature video to explain what it does exactly. The mobile site iteslf shouldn’t be too overcrowded with information and content. That’s why it is crucial to think about it like a description. Why a mobile site is necessary is clear in itself –in Great Britain 12% of the users go to retail sites using smartphones, while 24% of all web traffic in the first quarter of the last year came from mobile devices. 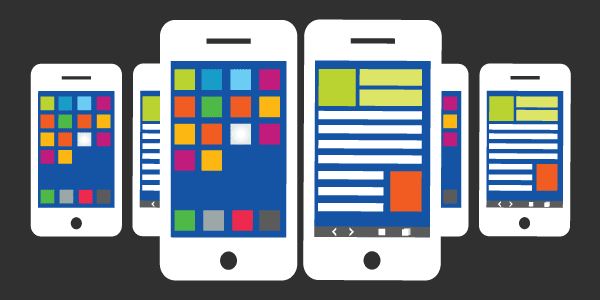 Read about how to make a good landing page for your mobile app. If you don’t already have one, it’s time to start a newsletter. You can use it to provide useful content to the existing and future users, reminding them constantly of your presence as you do so. The newsletter, which is a mode of promotion for the app in itself, can be used to announce new features, contents, deals and other news. One of the best newsletter tools is Mailchimp, which will also give you detailed statistics about the success rate of every newsletter that goes out. Besides, it also enables you to do A/B testing. Considering that users decide to open them based on the subject line, make sure to try out different ones. Just as you would optimize a website, so you can optimize an app for the App Store. App Store Optimization (ASO) will improve and increase the visibility of your app at the App Store and therefore increase the number of downloads. Entrepreneur states that according to the Nielsen research 63% of users discovered apps through searches. Experts advise you to make the app search as easy as possible by adding a name of what will be searched for in the title of the app. For example, if your target is a poetry community, then put poetry in the app title. Pick the keywords carefully, test the app icon, and devote all the time you can afford to the description. Send the media a press release. When it comes to apps, your first thought is probably to send the press release to as big a number of app review sites as possible. On the one hand, that’s not a bad idea, since all publicity is good publicity, but above all, dedicate yourself to your target audience. Naturally, everyone wants to be on Mashable, but if you have an app about gardening, then your press release should be aimed at the media that cover gardening. Just like with the newsletter, the subject line is crucial again – make it memorable and one of a kind. Include high-resolution screenshots (in the printed version for this publication), add a link to a video (to be embedded by sites), and don’t forget about the links. You can also send the Press Release to PR distributing services like PRWeb, where for $159 you can send your notification to many different destinations. Hold a Q&A. If, for example, your app is about cigars, once a month you can put together a Q&A for all cigar lovers under a specific hashtag on Twitter. Position yourself as an expert and remind the users of your app. Become involved in Quora and similar services where you also have a chance to stand out. If you are holding a Q&A, make sure to sum up the most important answers on the blog post, or turn them into useful infographics which will give you an extra promotional edge. Ask your users to rate your app. If they haven’t done so yet, remind them to do it. Other users will use ratings to decide whether or not download your app. It is common knowledge that better ratings, that is four stars, bring more downloads, but also have a tendency to be rated less often than other apps. That’s why you shouldn’t go overboard with the reminders. Instead try to determine who your most faithful and best users are and ask them to rate the app. You can also ask the community that the app is targeting to do it. Be present on social networks, but only those relevant to your target audience. A common mistake is to be present on all social networks. If your audience is not on Pinterest or Twitter, there is no need to waste your energy on them. And consider Facebook carefully as well: you have to invest quite a lot of money if you want to reach your fans on this social network, and then more again if you want most of them to see your posts. The key, then, is finding out where your audience is. For example, the fastest growing age group on Twitter is the one between 55 and 65, 189 million of Facebook users are mobile only, YouTube attracts more users between 18 and 34 than any cable network, and LinkedIn attracts two new users every second. Ask some users to write you testimonials. Look for those who have some clout on social networks or in the field covered in your app. You don’t need to have too many, a dozen or so of the right people will suffice to give your app an added dose of credibility. Don’t hide the testimonials, put them on your homepage. If your app has been used by someone the likes of Oscar-winning Malik Bendjelloul, who did that with the 8mm App, use that in the description and other promo materials. Be unique. Millions of people are trying to do the same thing as you. Find a way to stand out and be different no matter how „ordinary“ your app might be. You can have the best app icon that the world has ever seen, or the funniest ever description. Make a video for the app. Perhaps a video is the right opportunity to set yourself apart? The rules of video-making are well known: you’ve got the first few moments to hook the audience into watching the rest. What the headline is to the media and subject line is to a newsletter, that’s what these first seconds are to a video. Perhaps you can say something along the lines of: This is a problem that 12% of users in the world have and or app will solve it. A video should not last longer than two minutes. That’s enough time to explain the problem, the solution, the main features, and the benefits that the users will profit from. If you are up to the task, put all that into six seconds and post it on Vine. Make a web site for the app. When it comes to apps, like we said before, it mostly comes down to making an attractive landing page where the video and all the app information are, together with the links. The guiding thought of a landing page for a mobile app is keep it simple, so try and stick to it. Take a look at how well these apps have handled it and get inspired. And don’t forget that a site must be mobile friendly too. The number of times you are ready to try. Never give up, never surrender! Use the potential of YouTube to the full extent. Post your video there or start a video blog which will help you reach your target audience. Like we’ve said before, this video service attracts more users of the 18 to 34 age group than cable networks do! A video blog and a YouTube channel are also good ways of reaching potential audiences. Perhaps you can make How to Video tapes where you explain, if for example if you’re making a gardening app, how to grow an orchid. Work hard! Don’t allow your app to become a zombie that everyone forgets, including you. Make a year-long strategy and remain active throughout it using promotional activities for the app.